Stop living in the past. Get rid of your old incandescents and CFLs. If you haven’t started switching out your old bulbs for LED bulbs, it’s time to start. Even though LED bulbs are still more expensive than competing types of light bulbs up front, you will recoup the cost over the long life of the LED bulb. Not long ago, I remember people complaining about the harsh white light of LED bulbs and longing for the days of the warm glow of an incandescent light. Now, LED bulbs can do almost everything incandescents do and much more. Longer Lasting – An average LED bulb lasts 30,000 hours. That’s 15 times longer than a typical incandescent. More Efficient – An average LED bulb uses 1/6th the energy of an incandescent to produce the same amount of light. More Durable – There is no filament to break in an LED bulb. LEDs can withstand much more shock during operation without any adverse effects. Switching Won’t Shorten Life – An LED bulb will not see a shortened lifespan from frequently switching it on and off. This is especially important in residential applications where lights will be cycled on and off multiple times in a day. Gives Off Heat – For some applications (heat lamps), the heat incandescent lights give off is useful. Price – Incandescent bulbs are still significantly cheaper than LED bulbs. Constant Light Output – An incandescent bulb will operate at full brightness up until the point it burns out. The LED bulb will slowly fade. The LED bulbs are vastly technologically superior to the incandescent bulbs. The only reason you would choose an incandescent in most applications would be to save a few dollars up front. However, there are a few niche applications where the qualities of incandescents are desirable. Initially, when incandescent bulbs began getting phased out, CFLs were the “chosen” successor. That was before LED technology was developed enough to be price competitive in the home lighting market. That is no longer the case. Longer Lasting – The average rated lifespan of an LED bulb is 4x greater than a CFL bulb. More Efficient – An average LED bulb uses 2/3 the energy of a CFL bulb. More Durable – Like incandescents, CFLs are fragile. Switching Won’t Shorten Life – CFL life is severely shortened by frequently switching them on and off. The LED bulbs suffer no negative effects from switching. Usable In Freezing Temperatures – The LED bulbs work in the cold. The CFLs don’t. None. Although CFLs are still slightly cheaper than LEDs, there is no reason to buy CFLs at this point. A couple years ago, the advantages of LED bulbs over CFL bulbs were apparent, but the prices of LEDs were too high to call LEDs the clear winner. Today, the prices of LEDs have fallen and the quality has continued to increase. There is very little reason to purchase CFLs anymore. The LED bulbs are far superior and generally only slightly more expensive. LED lights are the most efficient type of light bulb available today. They can produce more light with less energy than any other type of bulb. A typical 60W incandescent bulb puts out about 800 lumens. An equivalent brightness LED bulb will only require about 10W of power. An average LED bulb today will produce 80 lpw (lumens per watt). There are some high-efficiency LEDs available right now that can eclipse 150 lpw. Experimental LEDs have broken the 300 lpw barrier. As the residential LED lighting industry matures, you can expect them to keep getting more efficient. LED bulbs last a very long time. The average consumer LED bulb available today will last 30,000+ hours. The LED bulbs won’t suddenly burn out like the light bulbs you’re used to. However, over time they will become less effective at giving off light. Their brightness will fade the same way your mobile phone battery fades as you charge it many times. Typically, manufacturers consider the lifespan of the bulb to be the amount of time the light operates before it fades to 70% of its original brightness. Switching LED bulbs on and off frequently doesn’t have any impact on their lifespan. Heat will cause an LED bulb to age much more quickly. If you pick up an LED bulb, you will usually notice that the base end is significantly heavier than a typical light bulb. This is because there is a metal heat sink in the base designed to pull heat away from the LED. The LED bulbs can withstand a lot more shock than other types of light bulb. The component that produces the light is called a diode. It’s just one solid chunk of electronics so there isn’t much to break. Of course, the glass bulb surrounding the LED is still fragile so don’t go around dropping them just to see if they’re really as tough as I say they are. How Much Do LED Bulbs Cost? LED bulbs have fallen in price drastically the past few years. I recently bought a 6 pack for under $20. If you want to replace all the bulbs in your house you can get even better deals by buying in bulk. This 16 pack from Philips is available on Amazon for under $2/bulb. Yes. LEDs can be dimmed but how effective the dimming is, depends on the model. The dimming may not work very well with a standard dimmer switch. 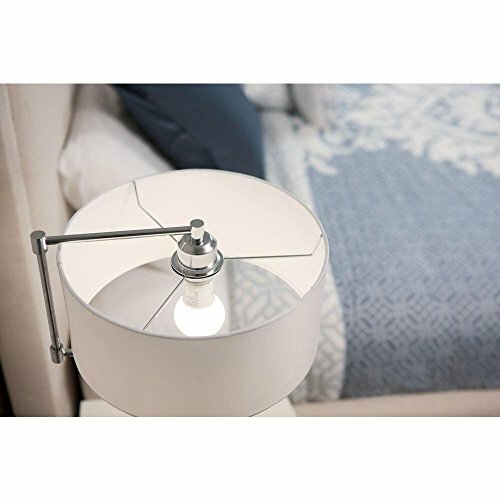 Fortunately, you can buy dimmable LED bulbs that have the dimming function built directly into the bulb (see smart bulbs below). The light will stay the same color as it dims. If you have a bright white LED, it will shine bright white at full power and when it’s fully dimmed. The most common method for dimming an LED is called pulse-width modulation. Basically, it involves switching the light on and off really fast (so fast that the human eye can’t detect it). If you want to make the light appear dimmer, you just increase the amount of time the bulb is switched off relative to the amount of time it’s switched on. 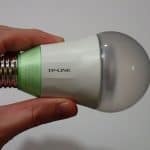 Do LED Bulbs Get Hot? Yes and no. If you try to grab an LED bulb by the bulb after it’s been on for awhile, it may only be slightly warmer than room temperature. However, if you unscrew the bulb and grab the metal base of the bulb, it will be a lot hotter. You might even burn yourself. All the heat of an LED bulb is produced inside the base where the LED is housed. The metal base works as a heat sink to pull heat away from the electric circuitry that runs the bulb, so that’s why it gets so hot. What Are Smart LED Bulbs? Smart LED bulbs let you plug your home lighting into your smart home. You will be able to control your lights with your smartphone or even utilize other smart home sensors to automatically control them. 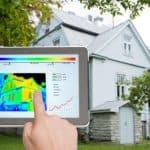 How Do Smart Bulbs Connect To Your Smart Home? Some smart bulbs have WiFi built directly into the bulb. Connecting them to your home WiFi is as simple as screwing them in and using the mobile app to type in your WiFi password. 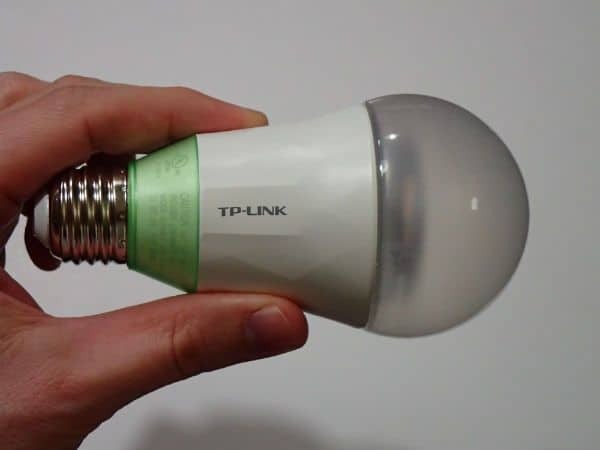 TP-Link makes a popular line of smart bulbs that work like this. I personally own some and took the time to write up a review of the TP-Link smart bulbs. Others use different types of wireless communication. If they don’t use WiFi, they will require a special hub to connect. 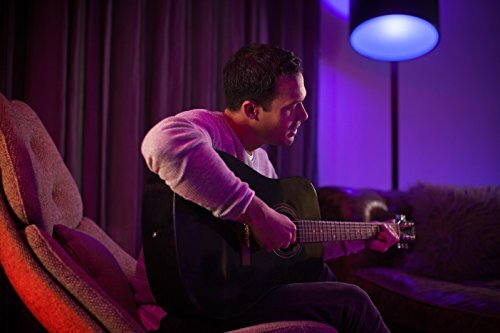 This is how the extremely popular Philips Hue smart bulbs work. What Do LED Smart Bulbs Have That Normal LED Bulbs Don’t? Some smart LED bulbs have dimmers built directly into the bulb. You can control the brightness with a slider on its mobile app or through rules set up with your smart home. A popular feature for LED smart bulbs is adjustable CCT (correlated color temperature) bulbs. They are also often called tunable LED smart bulbs. It’s not easy to explain CCT in simple terms. It’s a measure of the light spectrum that a given light emits. The simplest way to explain CCT is with a picture. The cool bright light given off by office space fluorescent lighting has a high CCT (4200K) compared to the warm glow of an incandescent lamp (2400K) or even a candle (1800K). In order to achieve the tunable effect, these bulbs will contain 2 different LEDs. One will operate at a cool CCT and the other will operate at a warm CCT. Then, by adjusting the intensity of each LED you can get a full mixture of CCT in the range between the two LEDs. The tunable range will depend on the bulb. You will have to check the specs. of the bulb to make sure you get your desired range. Using the correctly tuned light at the right time of day can have a positive impact on your alertness and sleep schedule. My article about tunable light and your circadian rhythm explains more about how this works. The most expensive smart LED bulbs can actually change their hue. A color changing LED bulb is actually made up of 3 separate LEDs. If you include one LED each of blue, red, and yellow, then you can combine them at different intensities to make any color you want. People have come up with many different ways to use the color changing smart bulbs in their smart home. Mood lighting, alarms, weather, and special movie effects are all things people have used their color-changing smart LEDs for. The only limit is your imagination (and your smart home budget). For almost all applications, LED bulbs are better than both incandescents and CFLs. They are still slightly more expensive, but the cost will more than be made up for over the life of the LED bulbs. 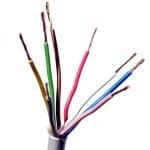 They will last many times longer, use significantly less electricity, and be less prone to breakage. If you are looking to go super high-tech and get the LED smart bulbs, you will have to pay quite a bit more. However, smart bulbs are one of the most versatile and fun pieces of smart home equipment you can buy. Because of this, they make a great “starter” smart home product. It doesn’t matter if you’re feeling frisky and go for the smart bulbs, or if you want to keep it cheap and simple. Your next light bulb purchase should be an LED.